A Geriatric Care Manager helps people with the complex and often stressful care of an elderly adult. GCMs can assess the level of care that a senior needs. Because they are professionals in the industry, GCMs identify agencies and resources that can maximize senior health and wellness, and coordinate the senior’s medical care. Caring for a senior can be stressful for families and senior caregivers. A Geriatric Care Manager can manage the care of seniors with no family nearby. A Geriatric Care Manager can provide peace of mind when seniors live far away from their family. Because the GCM will see the senior on a regular basis, they can often discover health issues or concerns that the senior has not yet told their family. 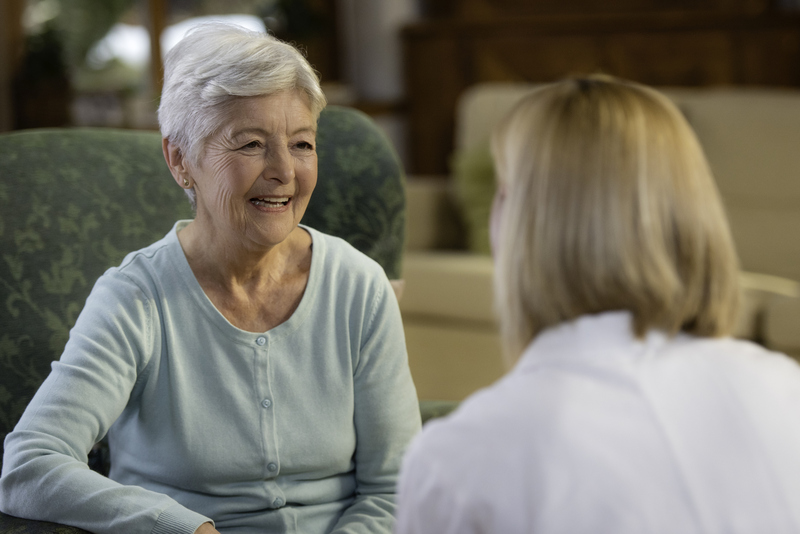 Regardless of geography, the professional guidance of a Geriatric Care Manager can inform the senior and their family of the available care options. Sometimes, the assistance of a GCM can even resolve family conflicts by providing neutral third party input. GCMs can provide clarity and reassurance in a complex and emotionally draining decision-making process. Provides the ability for the family to reclaim their relationship with the senior, by reducing the need to always be the caregiver. Many seniors are afraid of the costs of healthcare, but hiring a Geriatric Care Manager is cost-effective for many seniors. Many families find that they save money, thanks to the expertise in the managed care environment. You can hire a GCM for a one-time assessment or ongoing support. Their services are not covered by most private insurance, Medicare or Medicaid. Services ordinarily range between $80 and $250 per hour. However, a GCM can keep you from making costly mistakes and provide information about programs that can reduce care expenses. What are the qualifications of a Geriatric Care Manager? GCMs are trained in a variety of areas, including nursing, social work, physical therapy, gerontology, and senior health and wellness. They also have an extensive knowledge of the availability and quality of services, and facilities in the community, as well as their costs. Look for a GCM that is a member of the Aging Life Care Association™. They also should be certified by either their professional organization such as the National Association of Social Workers, National Academy of Certified Care Managers, or the Commission for Case Managers. Many GCMs are found through personal references. If you have an acquaintance who has employed a GCM, ask them for a reference. Or you can search online at the Aging Life Care Association™. It’s important to have a relationship based on trust and communication with your GCM, so select someone you can get along with. Many are available 24/7, or have a coverage plan when they are unavailable. There are some sites that provide caregiver tips for hiring a Geriatric Care Manager. Could your loved one benefit from the help of a Geriatric Care Manager? Contact Bethesda to learn more about our Geriatric Care Management service in the St. Louis area.